Each year we take up an independent study to access the India Job market for Business Analytics and related fields. Please note that this study does not reflect the current analytics positions in India. The Study reflects the new job openings in the year 2013 and the areas these openings were primarily in. The analytics jobs market continues to grow in India at aggressive pace. In 2013, the number of new job postings on analytics grew at an average pace of 6% every month. From Jan 2013 to Jan 2014, the job postings increased at an annual pace of 80%. 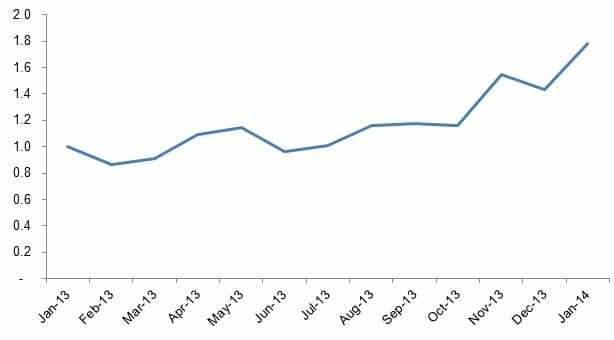 The graph below gives the monthly new job postings on analytics in India indexed to January 2013 (i.e. if we take no. of openings in Jan’13 as 1). On an average, recruiters demanded for a work experience of 7.5 years. This is higher than 2012 where recruiters asked for an average work experience of 6 years. 28% job openings were for less than 5 years of work experience, while 23% were for more than 10 years of experience. 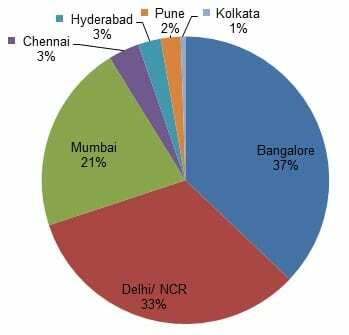 37% of all analytics job openings came from Bangalore. This is higher than 2012 by 2% points. Delhi/ NCR contributed to 33% job postings which is lower than 2012 when Delhi/ NCR contributed 39%. Mumbai increased its share from 17% in 2012 to 21% in 2013. 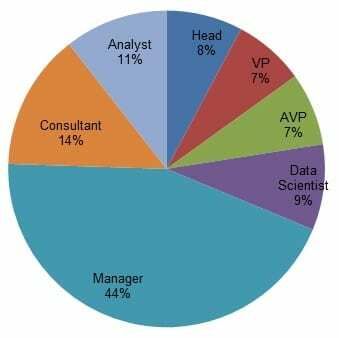 The top analytics firms recruiting in 2013 were WNS, AbsolutData, Hewlett Packard, CRISIL, HSBC, Accenture, Max Life, Dell, ZS Associates, Altisource, Marketelligent and ICICI. 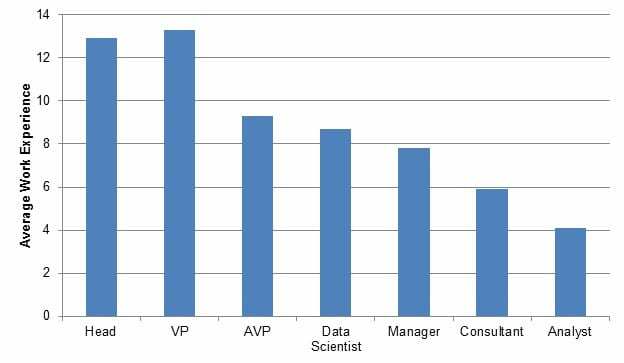 ‘Manager’ is the most demanded designation in 2013 at 44%, which is higher than 38% Manager Openings in 2012. The average work experience demanded at Manager’s level is almost 8 Years. The biggest change we saw from 2012 was in job posting based on Functions. In 2012, 19% job openings were in Financial Analytics. This in 2013 was just 7%. 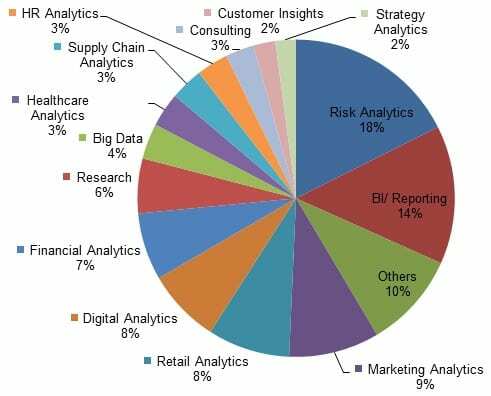 Rather, Risk Analytics was higher in 2013 at 18%. BI/ Reporting stood second at 14%. HR, Healthcare and Supply Chain Analytics demanded the highest number of years in work experience – 10 years on average. While, BI/ Reporting asked for the least at almost 6 years on average. 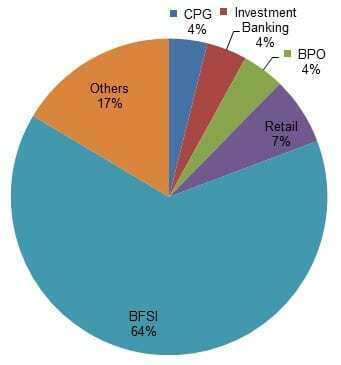 In terms of industries, BFSI continues to command more than 50% share of analytics industry in India. What about the new survey data? I want to know the current statistics of Analytic jobs in India. Is it a good idea to work in India or should I try in another country? Hi I am rajesh, I completed by b.tech and have only one year experience, what are the possible opportunity and how to get into a good company. As evident from the hiring pattern, there is a lot hires at the leaders level like Head, VP, AVP, Director, Manager etc… I wonder why isnt there much traction on the hiring at practioner level, the ones who develop-implement the solutions. Or is it like there are enough of them already?!!!. What’s the source of this data? And can you provide the no. of jobs surveyed? Spoken like a true analytics professional!